When it comes to the little things, procrastination has its rewards. Sleeping in an extra few minutes or putting off errands until after your alma mater’s big game can feel good. When talking about your business’ 2017 taxes, though, it’s never too early to start. Every year brings new changes to tax laws, and organizations that prepare to implement next year’s tax strategy early gain a significant chance to make the most of what’s new. With the help of a New York accountant who has already done the necessary homework on local, state, and federal tax law for the coming year, you ensure your company benefits from every deduction and credit you’re owed. The Affordable Care Act has been in the news regularly – and not just on the campaign trail. Some of the changes that affect you most include shifts to filing dates, a small but crucial update that your CPA will help you track. The form 1095 series assesses shared responsibility payments and shows that you meet minimum essential coverage requirements, for example. The old filing date on these forms was the last day of March; in 2017, you will be expected to provide this information on January 31, bringing it in line with employees’ receipt of their W-2 forms. Another major ACA milestone will also occur on Jan. 1 of the coming year as transitional tax breaks for Employer Shared Responsibility costs incurred by larger employers (those with more than 50 full-time personnel) will expire. These employers must have compliant coverage for eligible employees by 2017. 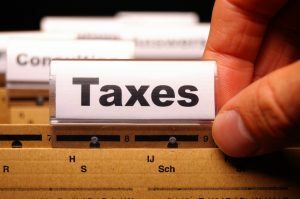 To demonstrate compliance, you need to have your tax forms in order well before the new year begins. Whether you pay on taxes owed from the previous year or want to make an estimated tax payment on the next year, you may benefit from doing it before it’s time to hang up a new calendar. Interest and penalties that accrue monthly will be smaller, while those that accrue annually may be completely avoidable. Underpayment penalties are another expense you can cross off when you and your CPA create a payment plan early instead of waiting until next year. If you enjoyed a windfall this year, it’s even more important to go over the possible benefits of early or estimated payments with your CPA, who can also protect you from over-payment. State and federal tax agencies charge interest on money you owe them, but they pay none on funds they owe you due to overestimations. Meet with your account sooner rather than later to retain your organization’s revenue with you so you can put it to good use. Are you well positioned to take full advantage of opportunities that come your way? If you have your financial records in order early, you’re able to act immediately on mergers and acquisitions that can transform your organization. Getting expected expenses out of the way and gaining clarity on your available capital are essential for agility in business. You and your CPA can create a custom checklist for imposing and maintaining order on tax records today.